Mar 6 20:35: Magnitude recalculated from 5.5 to 6.0. Mar 7 00:14: Magnitude recalculated from 6.0 to 5.9. Hypocenter depth recalculated from 33.0 to 7.0 km. New! M6.5 on 10 Oct 2018 - P.N.G. New! M6.0 on 10 Oct 2018 - P.N.G. New! M6.8 on 10 Oct 2018 - P.N.G. New! M6.0 on 19 Jul 2018 - P.N.G. M6.7 on 29 Mar 2018 - P.N.G. M6.2 on 24 Mar 2018 - P.N.G. M6.8 on 8 Mar 2018 - P.N.G. M6.0 on 26 Jan 2018 - PNG. M6.1 on 1 Dec 2017 - P.N.G. M6.5 on 17 Nov 2017 - Eastern Xizang-India Border Reg. M6.3 on 27 Aug 2017 - P.N.G. M6.3 on 13 Jul 2017 - P.N.G. M6.0 on 2 Jun 2017 - PNG. M6.2 on 15 May 2017 - P.N.G. M5.9 on 8 Jan 2017 - P.N.G. M6.7 on 17 Dec 2016 - P.N.G. M6.0 on 17 Dec 2016 - P.N.G. M7.5 on 17 Dec 2016 - P.N.G. M6.5 on 17 Oct 2016 - P.N.G. M6.3 on 15 Oct 2016 - P.N.G. M6.0 on 1 Sep 2016 - N.Z. M7.2 on 1 Sep 2016 - N.Z. M6.2 on 31 Aug 2016 - P.N.G. M6.2 on 25 Jul 2016 - P.N.G. M6.2 on 21 Jun 2016 - P.N.G. M6.2 on 1 Apr 2016 - PNG. M6.2 on 26 Jan 2016 - P.N.G. M6.0 on 16 Sep 2015 - P.N.G. M5.5 on 7 Jul 2015 - P.N.G. M5.6 on 7 Jul 2015 - N.Z. M5.8 on 7 Jul 2015 - N.Z. M5.7 on 30 Jun 2015 - P.N.G. M5.5 on 9 May 2015 - P.N.G. M5.6 on 8 May 2015 - P.N.G. M5.8 on 5 May 2015 - P.N.G. M5.7 on 5 May 2015 - P.N.G. M5.5 on 5 May 2015 - P.N.G. M7.0 on 5 May 2015 - P.N.G. M5.5 on 3 May 2015 - P.N.G. M5.6 on 3 May 2015 - P.N.G. M5.7 on 3 May 2015 - P.N.G. M6.6 on 1 May 2015 - P.N.G. M6.5 on 30 Apr 2015 - P.N.G. M5.7 on 18 Apr 2015 - N.Z. M5.5 on 5 Apr 2015 - P.N.G. M5.7 on 3 Apr 2015 - P.N.G. M6.0 on 31 Mar 2015 - P.N.G. M5.5 on 30 Mar 2015 - P.N.G. M6.4 on 30 Mar 2015 - P.N.G. M7.2 on 29 Mar 2015 - P.N.G. M5.9 on 7 Mar 2015 - P.N.G. M6.5 on 7 Nov 2014 - P.N.G. M5.5 on 19 Oct 2014 - P.N.G. M5.8 on 1 Oct 2014 - P.N.G. 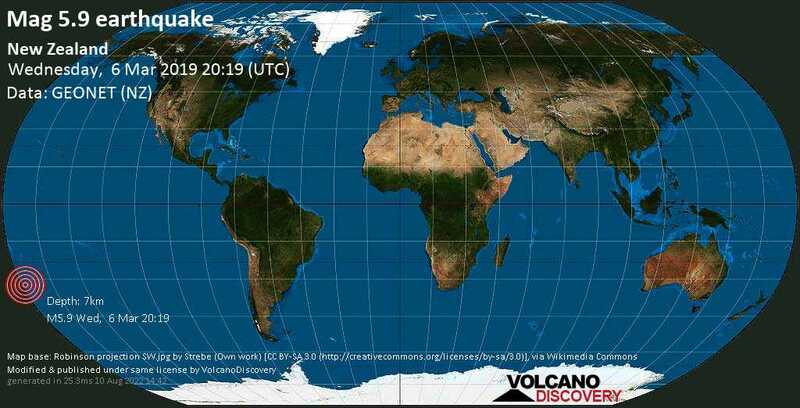 M5.5 on 21 Sep 2014 - N.Z. M5.5 on 16 Sep 2014 - P.N.G. M5.8 on 21 Aug 2014 - P.N.G. M5.6 on 15 Jul 2014 - P.N.G. M5.7 on 15 Jul 2014 - P.N.G. M5.5 on 15 Jul 2014 - P.N.G. M6.3 on 4 Jul 2014 - P.N.G.